If your brand were a person, who would it be? And would you want to be associated with them? As brands mature with age, some aspects of the original business concept are likely to grow and evolve into something different. This is a natural process of business progression, an aspect that should be embraced. 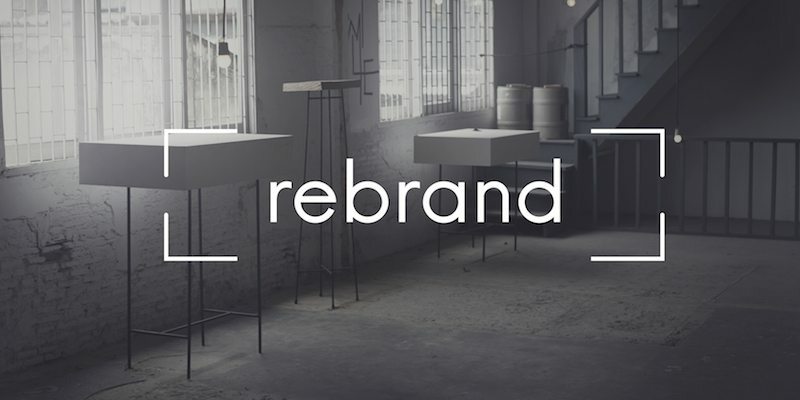 Don’t be fooled into thinking rebranding is just for the big boys. As with most marketing ideas and tools, everything is scalable to your business. People don’t connect with products. People don’t connect with businesses. People connect with values and personality. Our earlier blog will tell you that People connect with people. A powerful brand is all about emotional connection; think about your current brand and what personality attributes it has; is your brand sensible or crazy… young or old… safe or risky…? Your brand values and personality gives a strong sense of relatability that you can promise to your customers, and if those values don’t resonate with your customers you may need to take a good hard look at either your brand or your customers! Once you have developed a brand that resonates with your customers you need to stick with it! Why is consistency important? A consistent replication of your brand will mean that the same thing is going to be seen by your audiences time and time again, making it easier for them to recognise and remember your brand. On the flipside, brand inconsistencies look careless. It looks like poor attention to detail or that you don’t really care that much about what they see in the marketplace. Show the marketplace you care by being super consistent with your brand. How do you do it? By creating a set of guidelines and rules to determine visual representations of your brand: your ‘style guidelines’, including your colour palette, your logo versions, your style of imagery, your typography and fonts, your exclusion zones and your tagline. Ok. We are on track. We have a brand that resonates with our customers. We have the rules to know how to use our brand visually. Ready to go? Not quite. There is more to a brand than just visuals. A good brand truly integrates their brand into everything. To live and breathe brand values you will of course have to actually tell your staff about what your brand values are. You will need to make sure your policies and procedures reflect your brand values. Think about how you answer the phone, the way your dress, the words you use, the way you treat people. Lead by example. Now we are ready to put it out there. We have a brand that resonates with our customers. We have the rules to know how to use our brand visually. And we have integrated our brand values into everything that we are. What next? Do we wait for people to come and find out what our brand is? No. We put it out there! We put it out there in the eyes, ears and brains of our customers, and then we do it again, and again and again. In fact, we never stop putting out brand out there. If you are going to compete in this clutter and make sure your brand is strong against your rivals you need to make sure you are always ‘out there’. You need to be top of mind when your customer is suddenly ready to think about you. Repetition in a systemised and strongly branded way will build awareness and brand equity. Continue to deliver on your brand promise. This step gets forgotten all too often. Do not disappoint your customers out there. You have worked so hard to get them to connect with you and notice you. If you don’t deliver you may not get a second chance. If you make promises (big or small) you have to deliver. If you’re considering a brand refresh, take a look at our handy Branding Report e-book. It’s filled with helpful information including case studies, tips, and a brief action plan to kick start your branding activities. If you’re still after more information, contact Chilli today for a consultation with our team. If there is just one thing to remember? Do not underestimate the power of your brand! Brand is important for even the smallest of businesses. Whether your brand is new, old, good, bad or ugly it’s never too late to show your brand a little love and see if it just can’t start delivering some of those benefits back to you. It’s always exciting at the Chilli office working with clients on new branding projects, if you are feeling a freshen up is just what your business needs to re-establish itself in the market give the team at Chilli a call today!